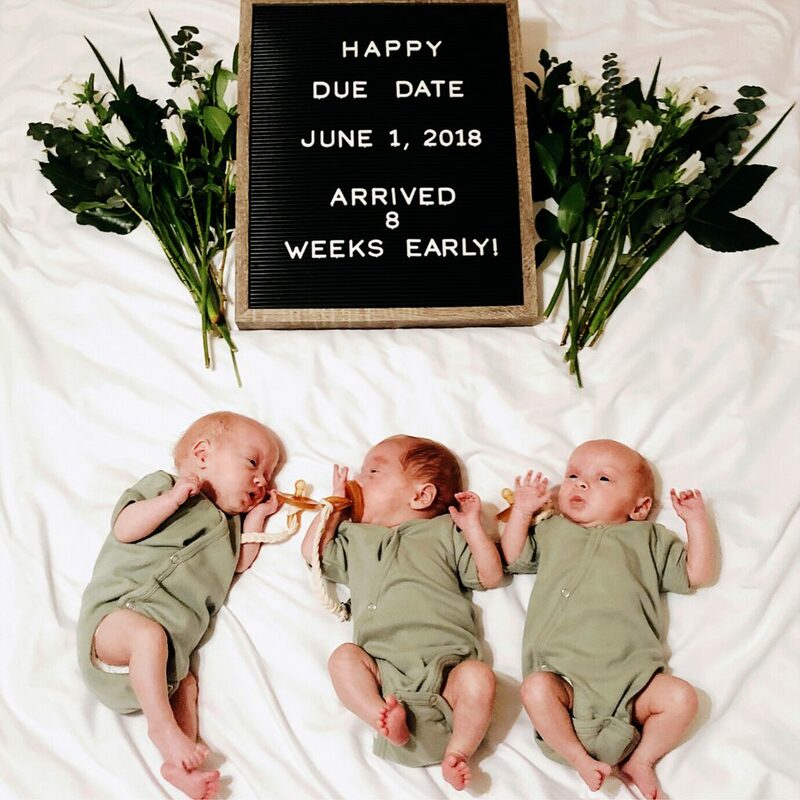 A mum who refused to abort one of her miracle triplets has given birth to three healthy babies after spending £23,000 on her final shot at pregnancy. Christy and Ryan Beck, 42 and 39, feared they would never become parents after years of failed attempts but now they are basking in baby joy following the birth of their ‘instant family’. After their struggles to conceive through IUIs and an IVF attempt, the couple from Richmond, Virginia, USA, decided to take out a hefty $30,000 USD loan to cover the cost of one last round IVF. They had two embryos transferred to increase their chances of success and it worked, with scans initially revealed they were having twins. 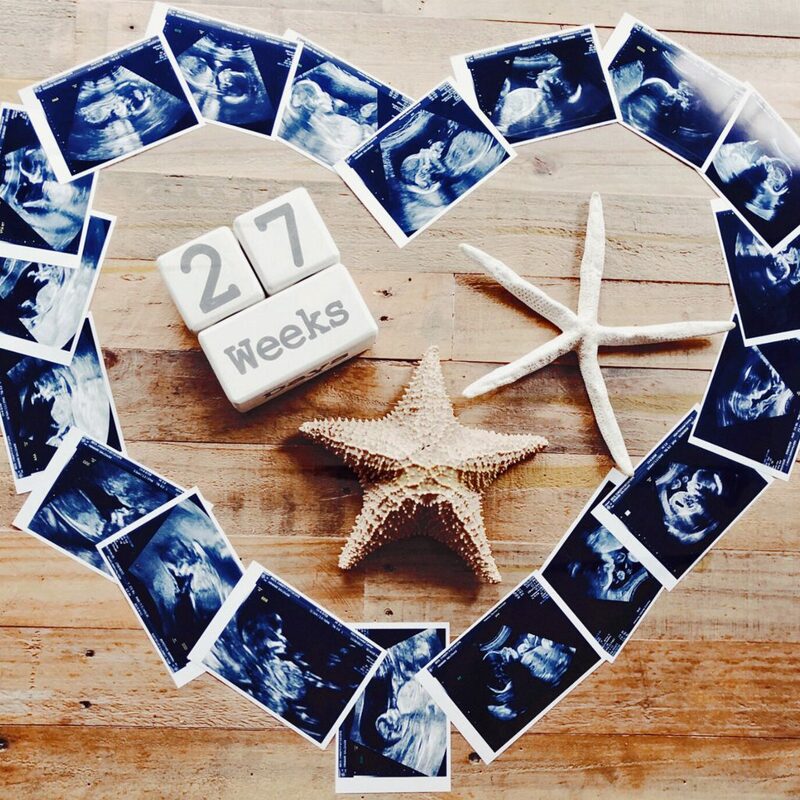 At their 12-week ultrasound a third ‘hidden’ baby was discovered but instead of joy they were presented with a grave decision – to terminate one or risk losing two of them. 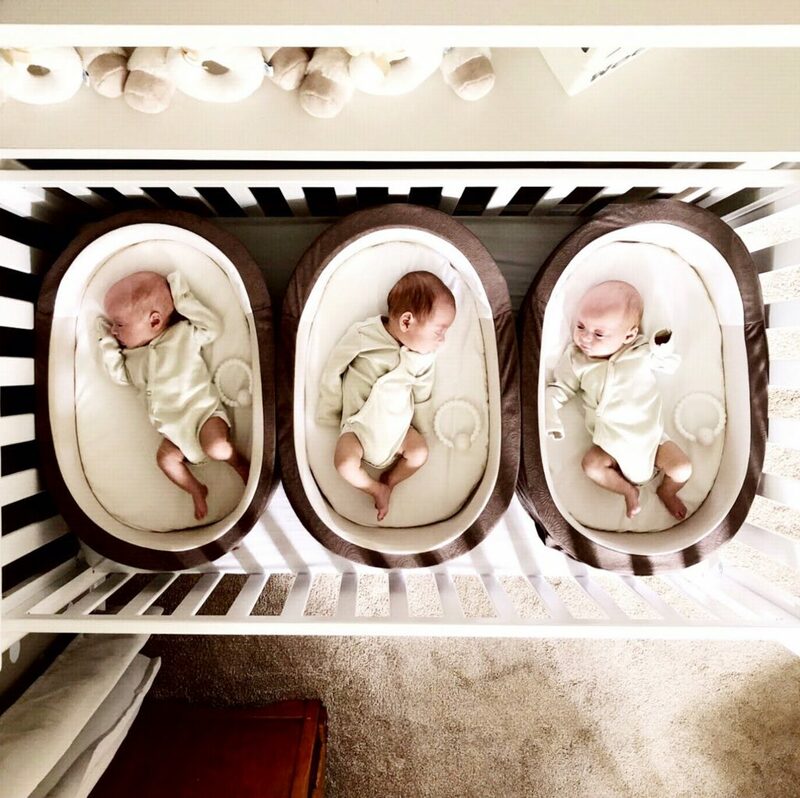 They refused to abort one of the babies and thankfully, Christy gave birth to Rockwell and identical twins Cali and Elli five months ago – who she declares her ‘little miracles’. 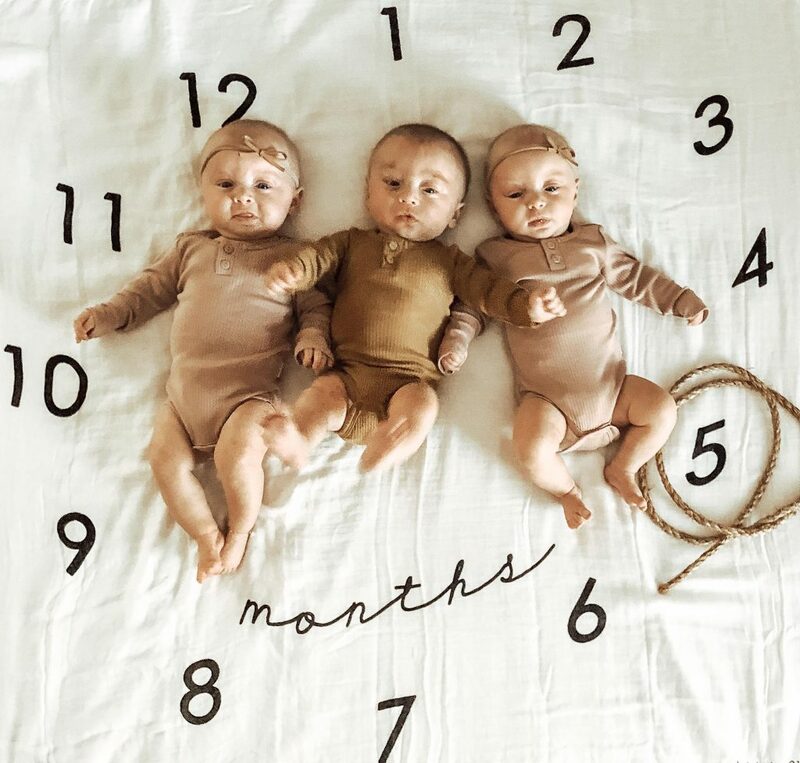 Despite the debt the couple now face, they believe having children was worth it and celebrate their triplets in adorable matching shots. Christy, now a full-time mum, said: “It was absolutely the last chance of being parents. We took a huge gamble taking out a loan, if it didn’t work, we would still owe $30,000 and not have children. 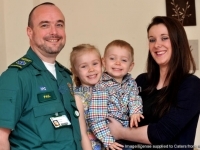 “The day we found out we were having triplets we were in such shock, we couldn’t believe it. 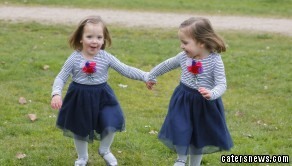 “We were told that since the identical twins were sharing a placenta one could not get enough blood and the other too much risking their chances of survival. “They gave me the choice to terminate one of my babies or risk losing the twins. 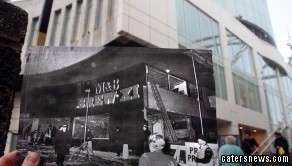 “It was crazy to go from the joy of the third baby to talking about terminating one of them. 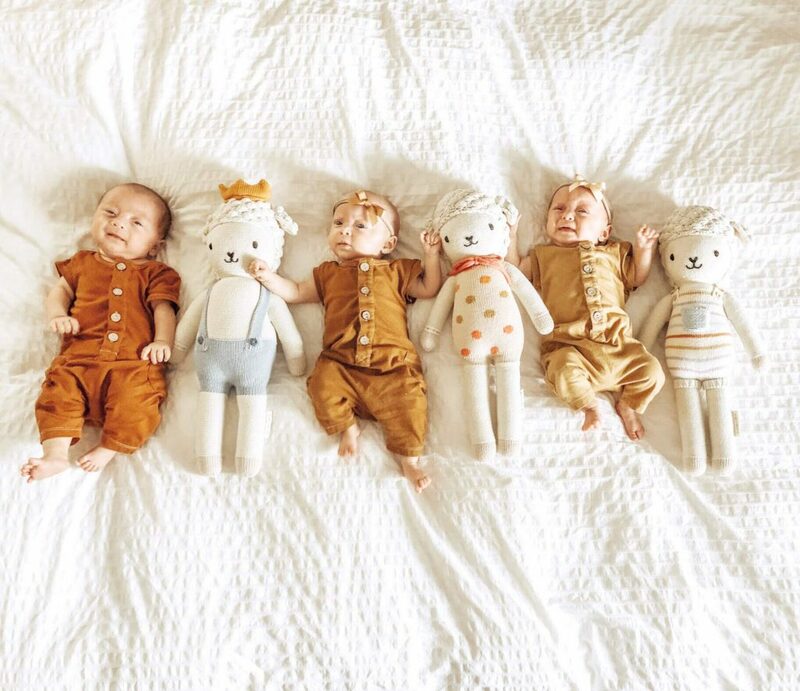 “But we felt we were given a third baby for a reason, so we decided to take our chances. 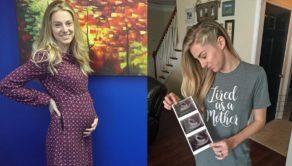 “For the rest of the pregnancy, I was always nervous and constantly asking if all three were breathing, if there were three heartbeats if they had all their limbs, fingers and toes. “It was so heart wrenching and then every time I heard their hearts beat it would make me cry with relief. “To have them all three come out alive and healthy without any hearing, vision or any other problems was a literal miracle. 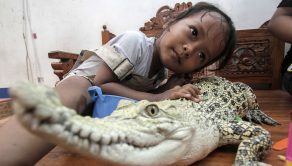 Christy doubted her chances of falling pregnant due to being in her 40s and sought fertility specialists. Knowing the biological clock was against them, they tried IUIs and IVF but were unsuccessful. 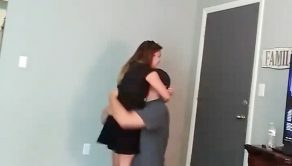 After a vacation following a failed IVF attempt and looking into adoption options, they decided to try for children of their own one final time. Christy said: “We took out a loan of $30,000 to cover the expenses, realising it was worth it to have the children we so desperately wanted. 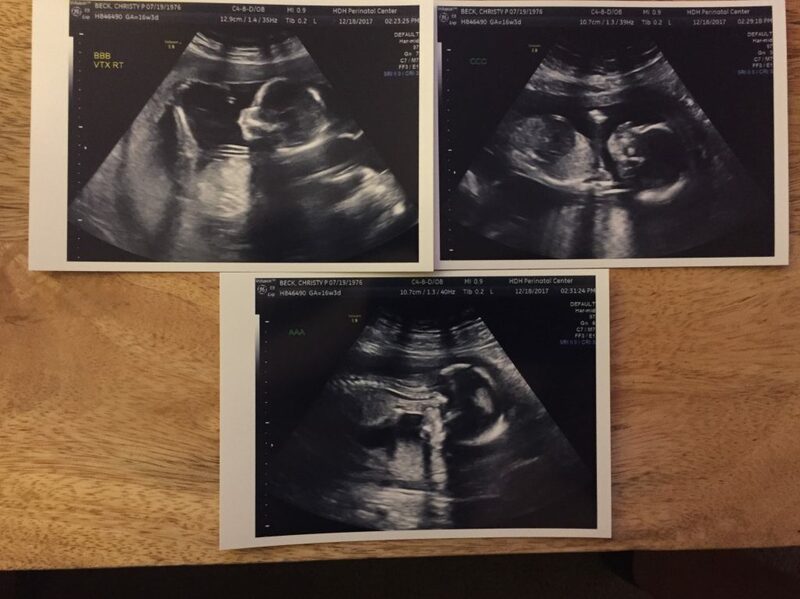 “I was 41 and couldn’t waste any more time, so the specialist agreed to put two embryos in. After the transfer, eager and nervous, Christy a took pregnancy – test nine days earlier than recommended – and watched with glee as the strip showed she was pregnant. The more tests she took over time, the darker the strip became. Due to having a high-risk pregnancy, the mum-to-be was put on bed rest from 20 weeks. On top of mobility difficulties, she battled pain and acid reflux from three babies pushing heavily on her gallbladder. But her strife was worth it, when on April 6th, she gave birth to three healthy babies. Christy said: “It was such a beautiful moment, I remember hearing my boy, who came out first, cry and that’s the moment I broke down in tears. “We took out a loan for our children. but it was totally worth it, I would rather them than a new car or any other thing we could have done with that money. Baby cures mums lyme disease! Suffer overcomes agonising pain, involuntary shaking and stoke like symptoms thanks to being pregnant! I go out on the pull with my husband! 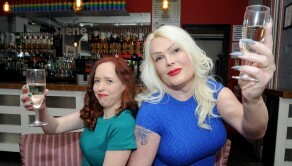 Transgender husband and his wife go out to find the perfect bloke – together!